Peering over a broken wall of bricks, Marcaisse Ngoget's recites Matthew 5:44: "Love your enemies and pray for those who persecute you." Those bricks used to be Marcaisse's home in the Central African Republic. Yet instead of vengeance, Marcaisse is seeking reconciliation. 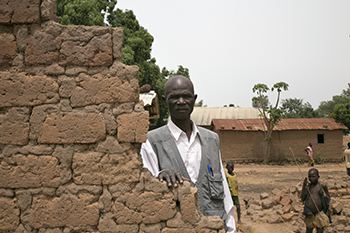 With the support of Catholic Relief Services, he believes he can help lead his community away from violence and into dialogue and collaboration with the nomadic pastoralists who are said to have attacked Boyé village and destroyed Marcaisse's home and many others. CRS has trained more than 1,300 religious leaders, government officials and community leaders to become ambassadors of social cohesion and assist local leaders, including Marcaisse, in reknitting the torn social fabric. The lives of nomadic pastoralists revolve around their livestock. The animals provide both food and income—milk and meat that is consumed and sold. They require a consistent supply of water and forage. And unpredictable climate patterns have forced thousands of nomadic pastoralists from the Sahel, including countries like Chad and Sudan, to search for better grazing lands. CAR is, literally, greener pasture. But the climate is changing in CAR too, increasing competition for natural resources, like land, water and firewood. Violent clashes between nomadic pastoralists and farming communities like Boyé have become more frequent. 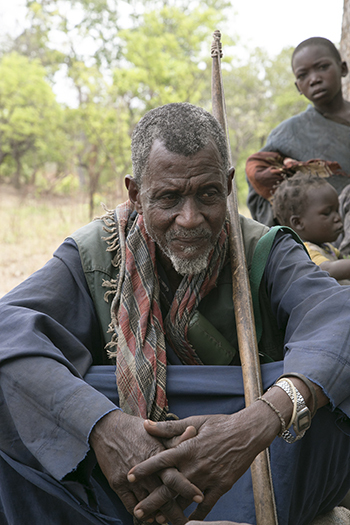 Marcaisse is the chief of three villages, and helping people is part of his responsibility. "We want to live in peace, and we can live in peace," says Marcaisse. "We go step-by-step." CRS' social cohesion work equips local communities like Marcaisse's with the resources and knowledge they need to restore peace. According to Soukoula Alesaa, a local teacher, "What we're looking for is long-lasting peace and free movement. We have put down our weapons." To reach the nomadic pastoralists, Marcaisse walks as long as 3 to 4 hours. "When we first went to meet with the pastoralists, we saw they are suffering a lot," says Marcaisse. "We made them aware they can come to the health centers, and we invited them to the weekly market." In return, people in the village of Boyé can purchase cattle to either resell in the market or slaughter for consumption. A dialogue has begun. And while it will take time to ease tensions that are rooted in a long history of conflict, Marcaisse says, "The work from CRS helped us. It encourages us to visit them. We put into practice the tools CRS gave us, and we improved our work."